Photo editing software, design programs, drawing software, programs for editing images, programs for free download Photo Moto, Keyboard Image Viewer, LuJoSoft ScreenCapture, SunlitGreen BatchBlitz, VeryPDF Free ShareShot, Picture Stamper, Free Batch Photo Resizer, RemedyPic, Edit Image, PerfPhoto Download for free! »» Free download Photo Moto! Photo Moto ::: a computer program that allows users to view photos. Using Photo Moto, you can manage and view all your photos. Photo Moto allows to share on various social networks and shows various details about the displayed picture. 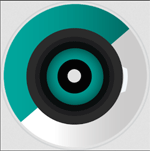 »» Free download Keyboard Image Viewer! Keyboard Image Viewer ::: a computer program that allows users to view photos. Using Keyboard Image Viewer, you can manage and view all your photos. Keyboard Image Viewer supports and is compatible with most popular photo formats. »» Free download LuJoSoft ScreenCapture! LuJoSoft ScreenCapture ::: a computer program used to take screenshots. Using LuJoSoft ScreenCapture can capture the full screen or you can capture a rectangular area. LuJoSoft ScreenCapture is a very simple application only has the tools to capture. »» Free download SunlitGreen BatchBlitz! SunlitGreen BatchBlitz ::: a computer program that allows users to work with digital photos. Using SunlitGreen BatchBlitz, you can automate the processing of images. SunlitGreen BatchBlitz allows you to sort, organize and edit photos. »» Free download VeryPDF Free ShareShot! VeryPDF Free ShareShot ::: a computer program that allows users to take screenshots. Using VeryPDF Free ShareShot can capture any objects on the screen. VeryPDF Free ShareShot allows you to send screenshots by email or share them on various social networks. »» Free download Picture Stamper! Picture Stamper ::: a computer program that allows users to work with digital photos. Using Picture Stamper can apply different watermarks to your photos. Picture Stamper allows you to add text or a logo for your photos. »» Free download Free Batch Photo Resizer! Free Batch Photo Resizer ::: a computer program that allows users to work with digital photos. Using Free Batch Photo Resizer can resize all your digital photos. Free Batch Photo Resizer is compatible and allows to work with most popular photo formats. RemedyPic ::: a computer program used to edit and optimize images. Using RemedyPic can resize, crop, distort and transform digital photos. RemedyPic is compatible and can work with most popular photo formats. »» Free download Edit Image! Edit Image ::: a computer program that allows users to work with digital photos. Using Edit Image can edit and modify photos, the program has several tools for editing. Edit Image is compatible and can work with most popular photo formats. PerfPhoto ::: a computer program that allows users to edit digital images. Using PerfPhoto can edit photos in the most popular photo formats. 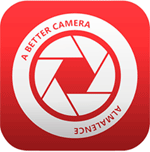 PerfPhoto allows adjustment of color, apply various filters, rotating and cropping photos.